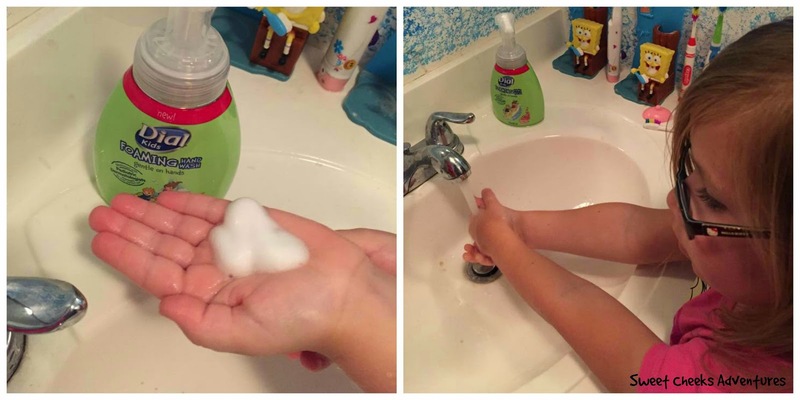 Listening to my children scream because they got soap in their eyes is one of the worst things! It makes my stomach ache and it makes them cry. Bad for everyone. 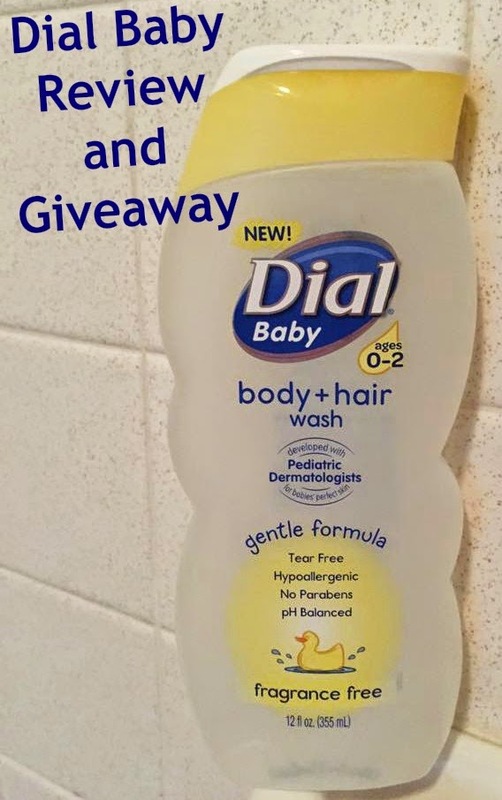 This is one of the reasons why I'm in love Dial Baby's new Body + Hair Wash. This is a great product. There is no scent and look at the great benefits! Tear-Free, Hypoallergenic, No Parabens and pH Balanced! I love it! This is perfect for any baby, especially my babies! The soap lathers well and washes out well. Allyson loves it, especially since she is starting to wash her own hair from time to time. 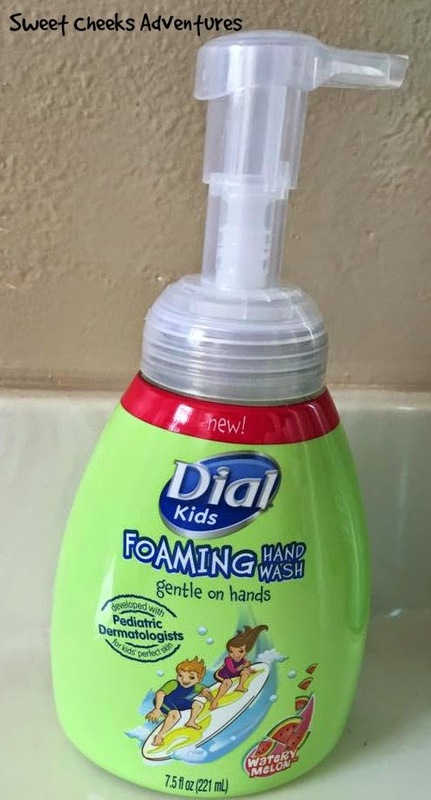 Along with the Dial Baby Wash, the kids and I got a chance to try out the new Dial Kids Foaming Hand Wash in Watermelon scent! They love it! I have caught Cooper washing his hands over and over throughout the day. For a little boy that seems to always be dirty and refuses to wash his hands on a regular basis, I'm calling this a win! An added bonus is Ally loves the scent too! Both of these products are on the shelves in your local store. Pick them up on your next trip! Oh, but WAIT!! There's a GIVEAWAY!! Dates: Starts May 1, 2015 12:00 am EST. Winner will be chosen May 10, 2014 11:59 pm EST. **This giveaway is open to US and Canada residents only. My kids ages are 10,9,8,6,4,2,1 and 2 months!! My oldest kids doesn't mind taking a shower or bath thankfully!! My youngest son and daughter, I let them play in the water a little while!! Thanks!! I don't fight tears at bath time. My kids don't get too upset about bath time because I promise them cookies afterwards. My granddaughter doesn't mind bath time and this would make washing more inviting !! i only use tear free shampoo so we dont face any problems. We don;t have tear issues. We don't fight tear issues. I use tear free shampoo so no issues here! !